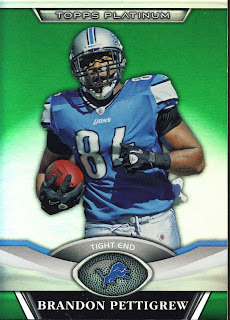 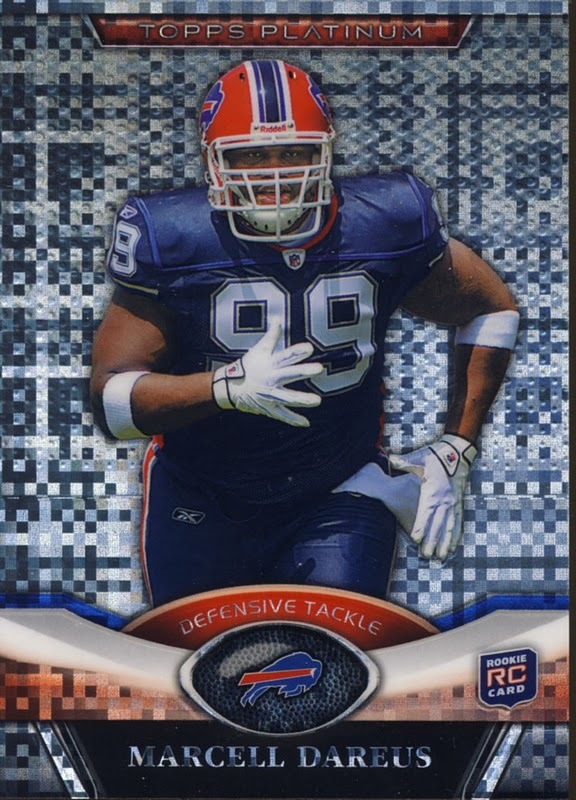 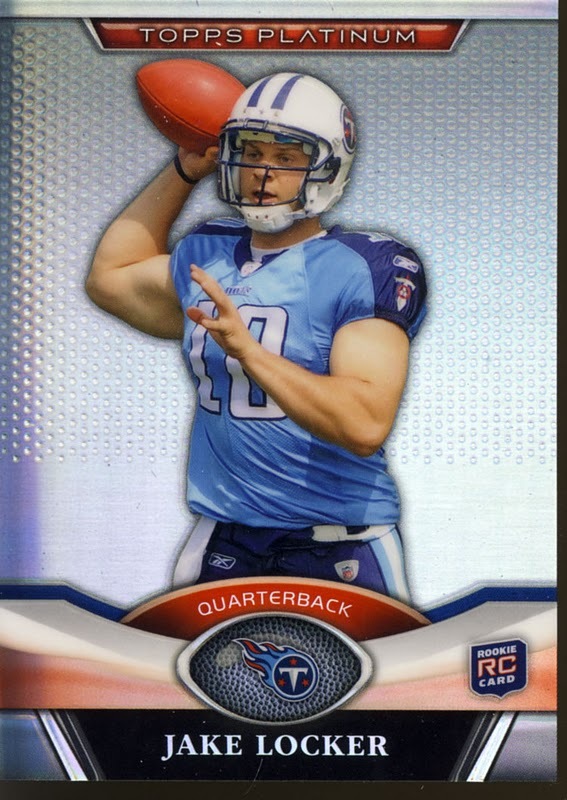 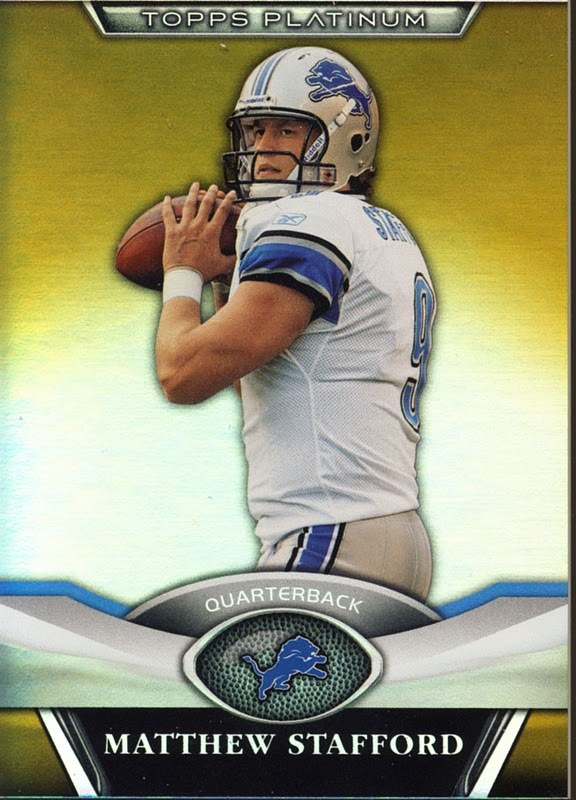 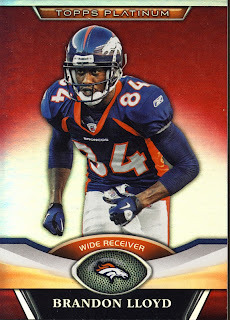 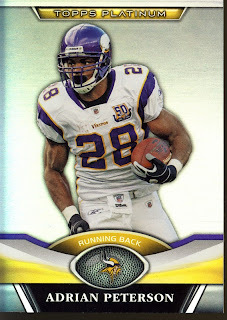 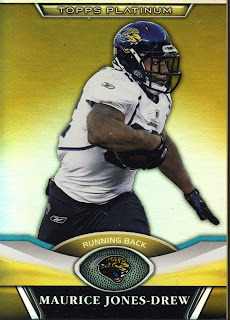 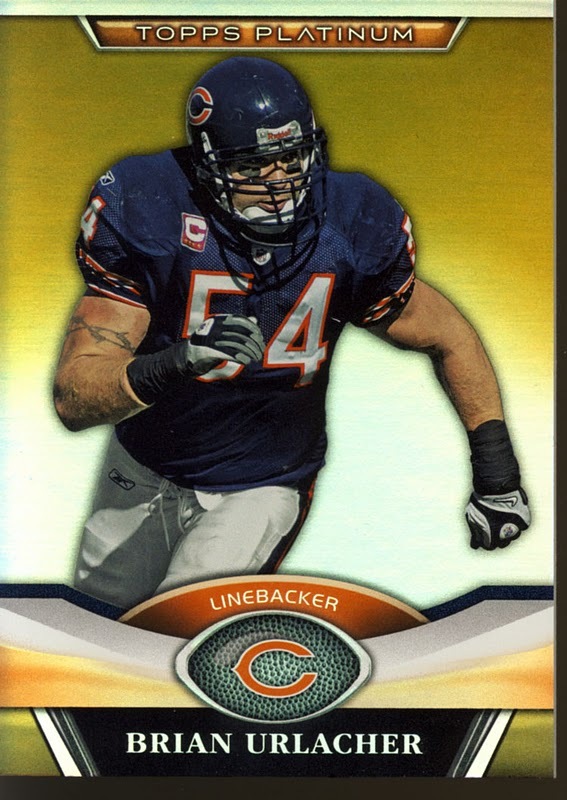 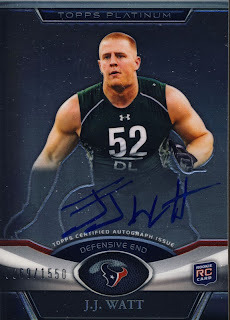 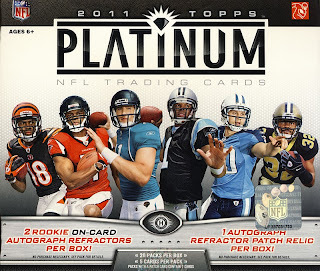 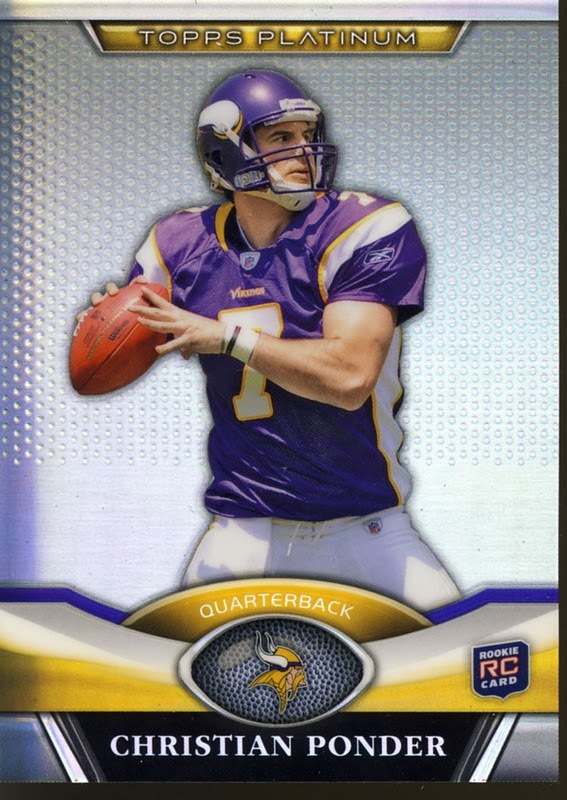 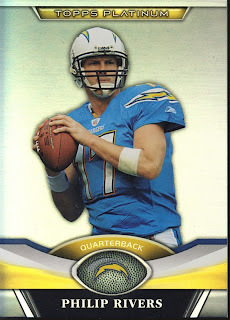 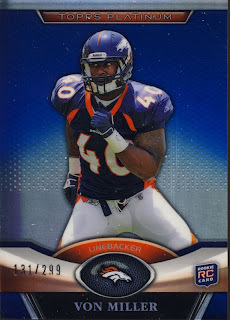 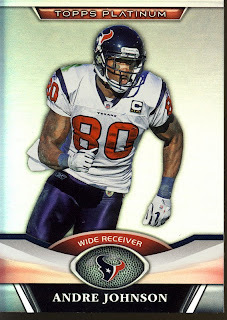 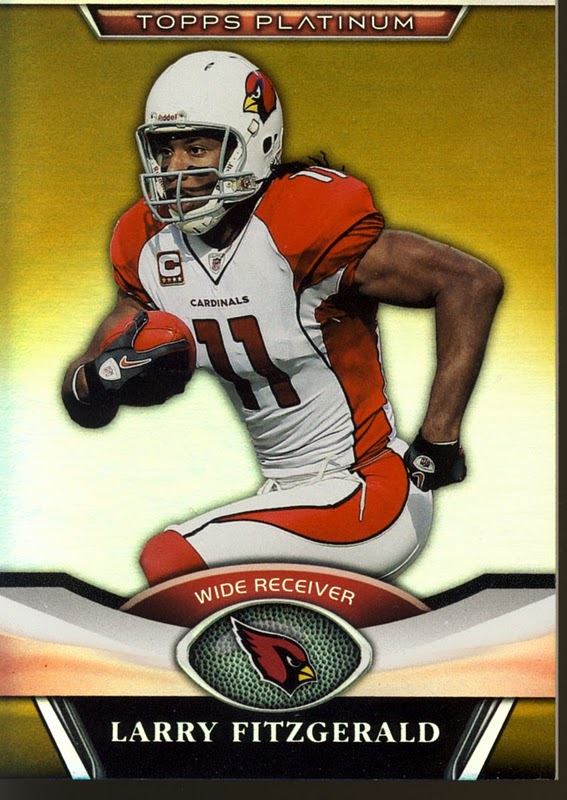 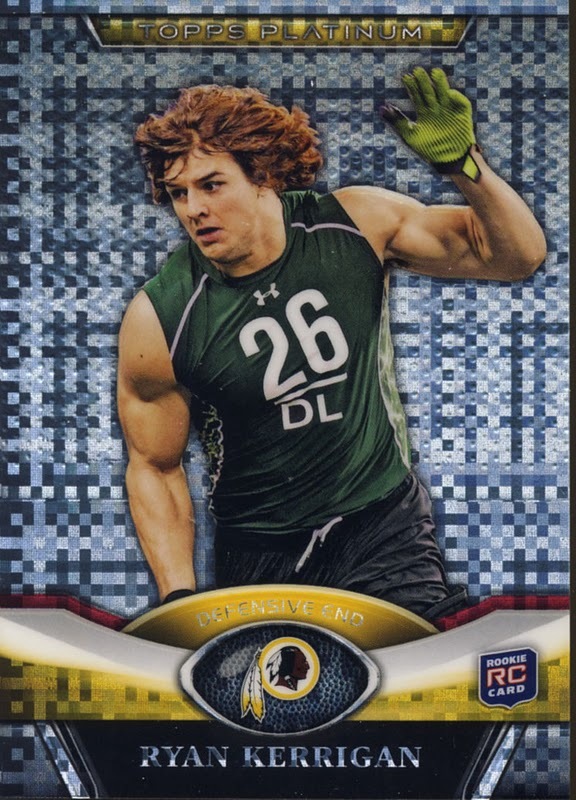 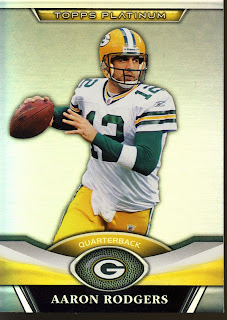 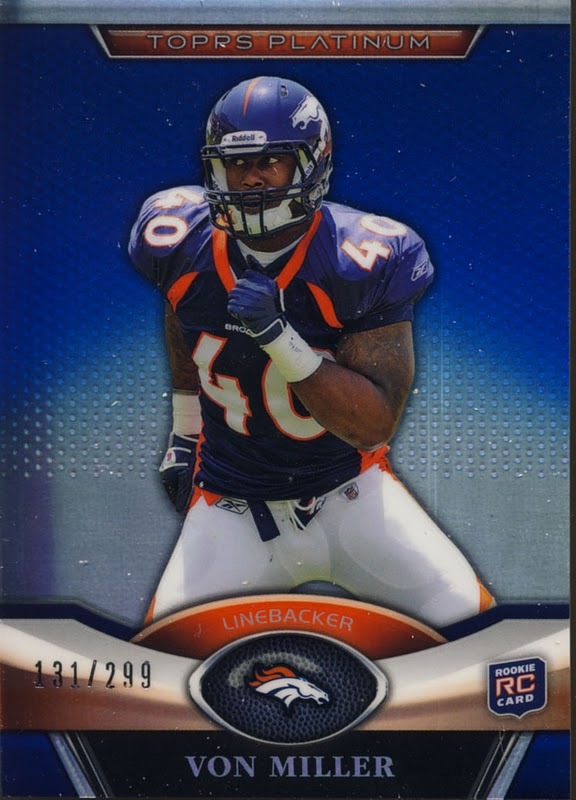 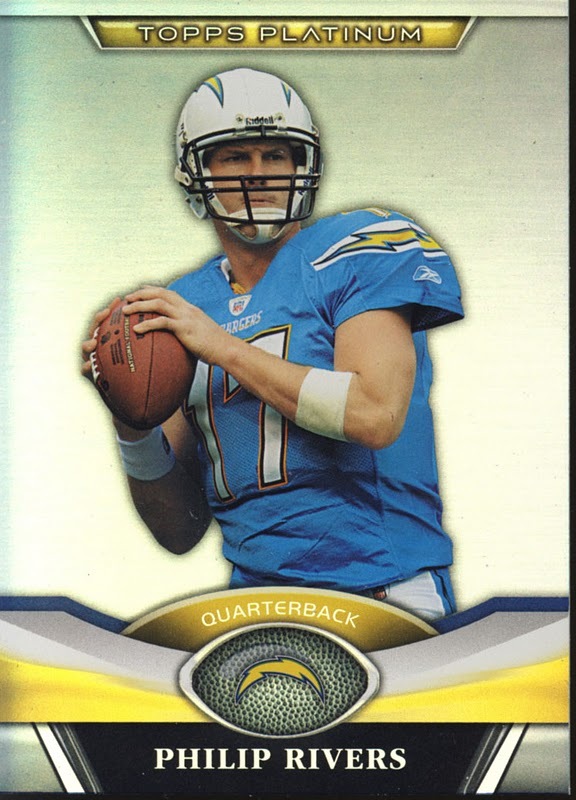 It’s Rainbow time for Football collectors as 2011 Topps Platinum NFL Trading Cards arrive. These are premium cards with an emphasis on the different colored parallels and xfractors. 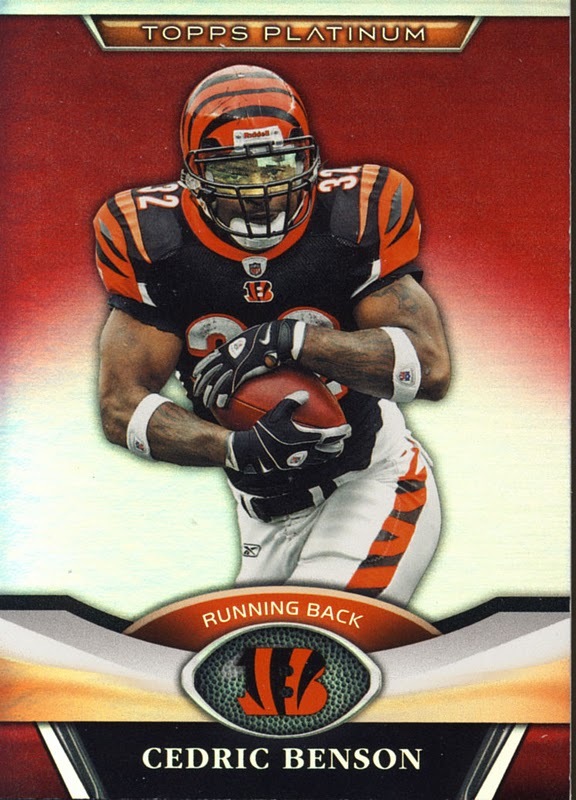 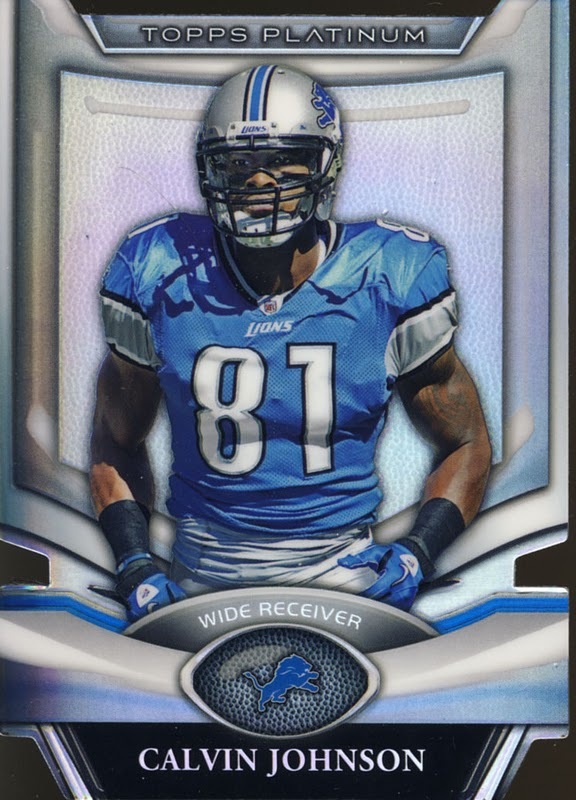 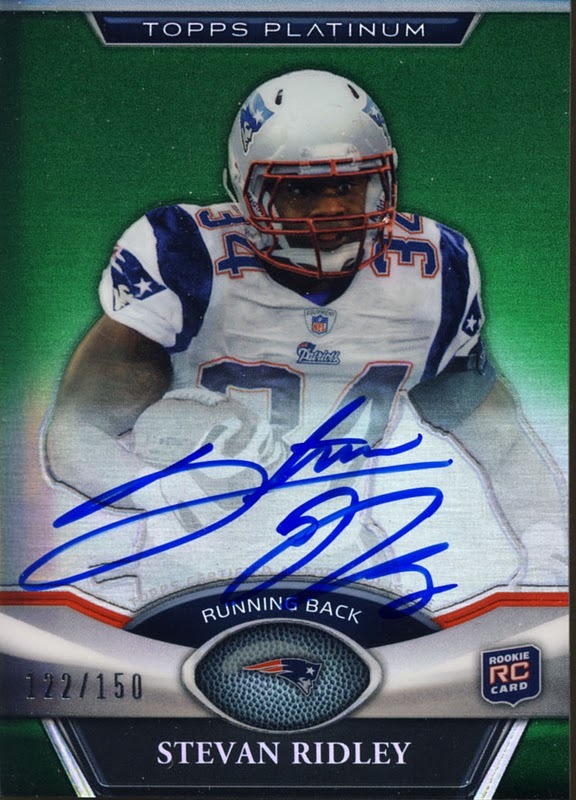 As with Bowman Platinum for baseball, without the understanding that this is intended for parallel chasers, Topps Platinum Football can appear to be a hugely hit or miss kind of product, when, in fact, it delivers on its intent quite well. 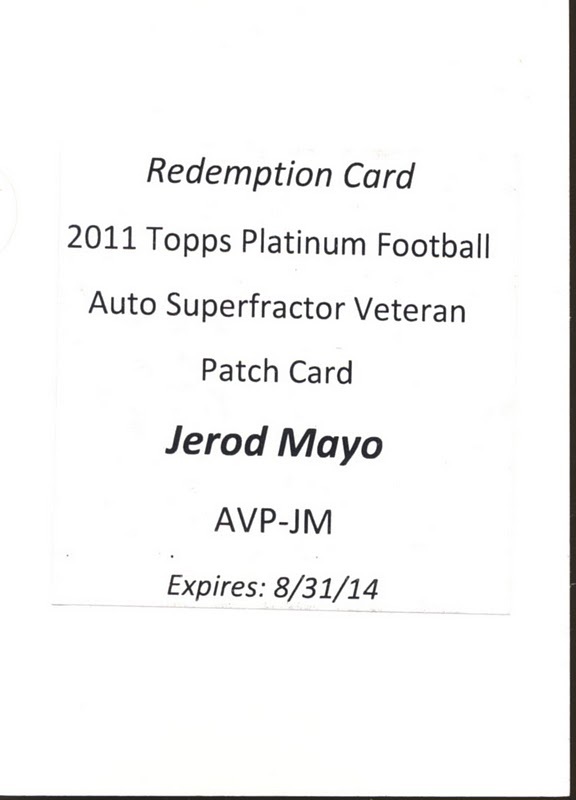 Topps Platinum falls under our premium cards category. 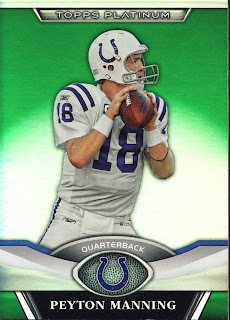 Each box contains 20 packs with 5 cards per pack. 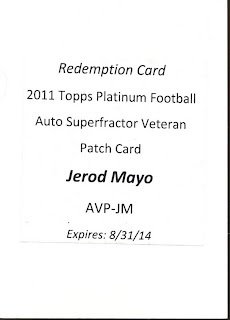 Each box delivers 3 autographs, two of those will be Rookie On-Card Autograph Refractorts and one will be an Autograph Refractor Patch Relic card. 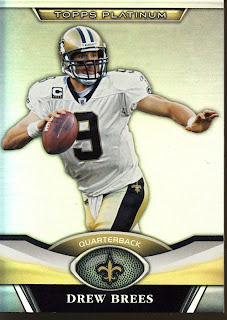 Here are some of the cards we pulled from the box. 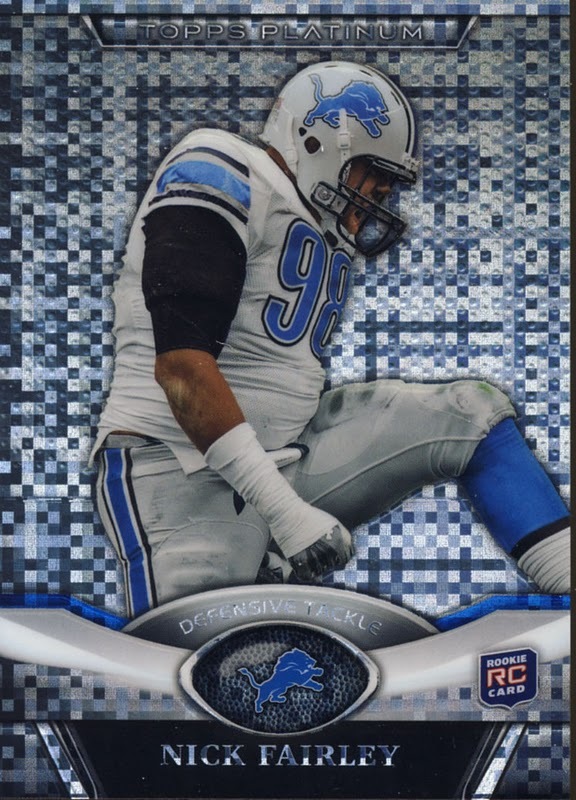 These cards look great. 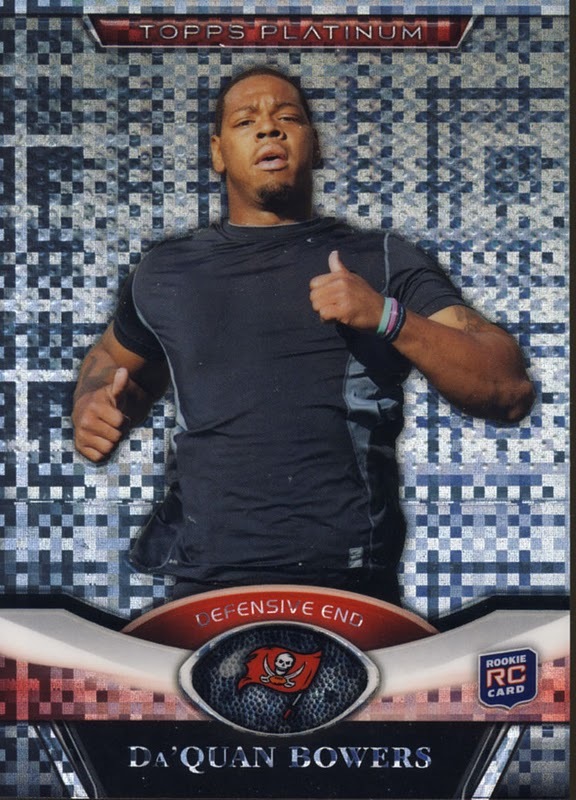 The design elements on the front walk the fine line of supporting the isolated photos of the players, keeping the card interesting without being too busy. 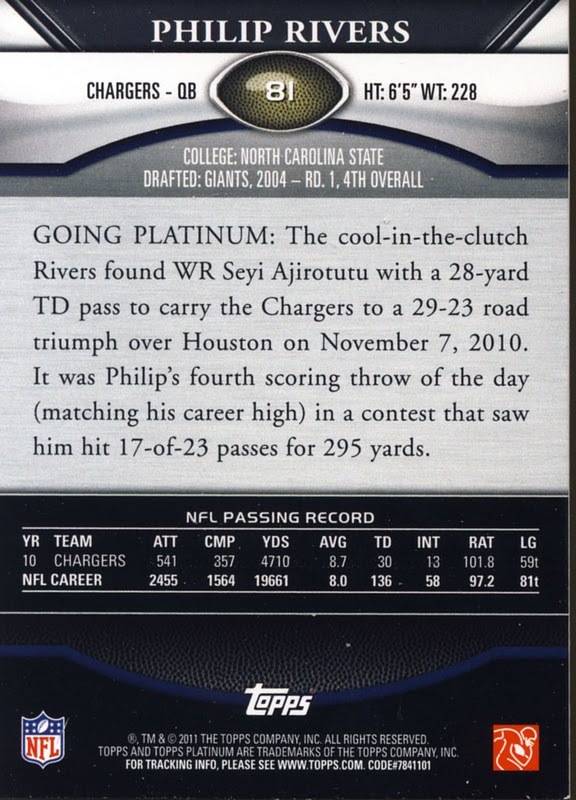 The backs are complete with everything you would want from bio to stats to personal info. 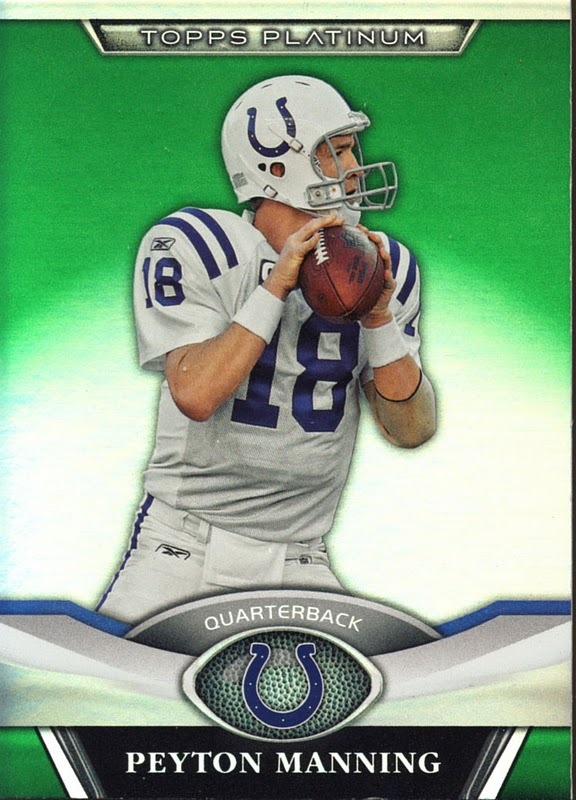 All the color parallels work well too. 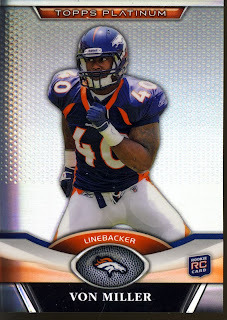 At 150 base cards, this list of players is a very nice mix of current greats of the game and incoming rookie class. 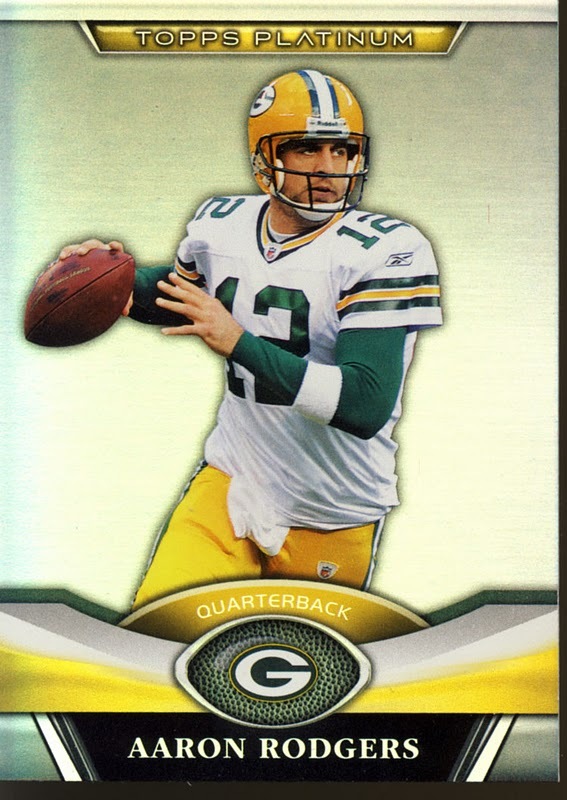 Small detail, but I also appreciate that in numbering the set, Topps mixed the rookies in with the veterans, making it one cohesive unit, rather than two groups of players in one set. 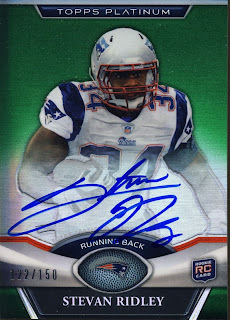 On-Card Rookie Autos, Patch Autos, die cut cards and various colored parallels are super hits. 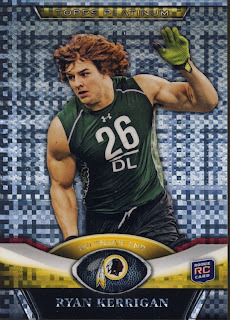 Short of the problems with rookie prospecting, you should be very satisfied. For Rainbow collectors, multiple boxes of Platinum is easy to see. 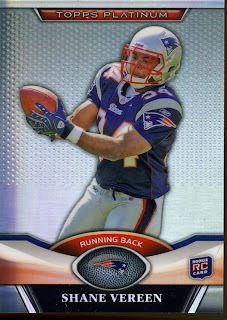 If your needs are just a specific player from this set, aftermarket singles are the way to go. 2011 Topps Platinum Football should keep both prospectors and rainbow collectors very happy. you forgot to mention that Topps screwed the pooch on this product. 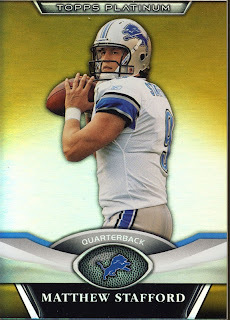 The box promises three autos per box, but in actuality, only 2 out of three have that... many boxes are shorted the auto patch card. 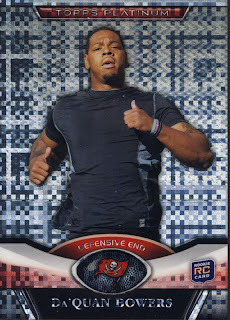 Nothing official, but it's all over the boards to be very wary of this product.